Good morning! I hope you are well today! We're taking it easy today. The kids are home from school and we don't have any big plans, just being lazy. I've got a new project to share with you today. There's a new issue up over at Paper Issues, "You're just my type" So, I'm sure you've got something to link up to this issue (ideas would be Valentine's Day, love, relationships, typewriters, fonts, subway art, typography, etc.). When I was creating my project I just used lots of different fonts. I cut the title using my Silhouette. 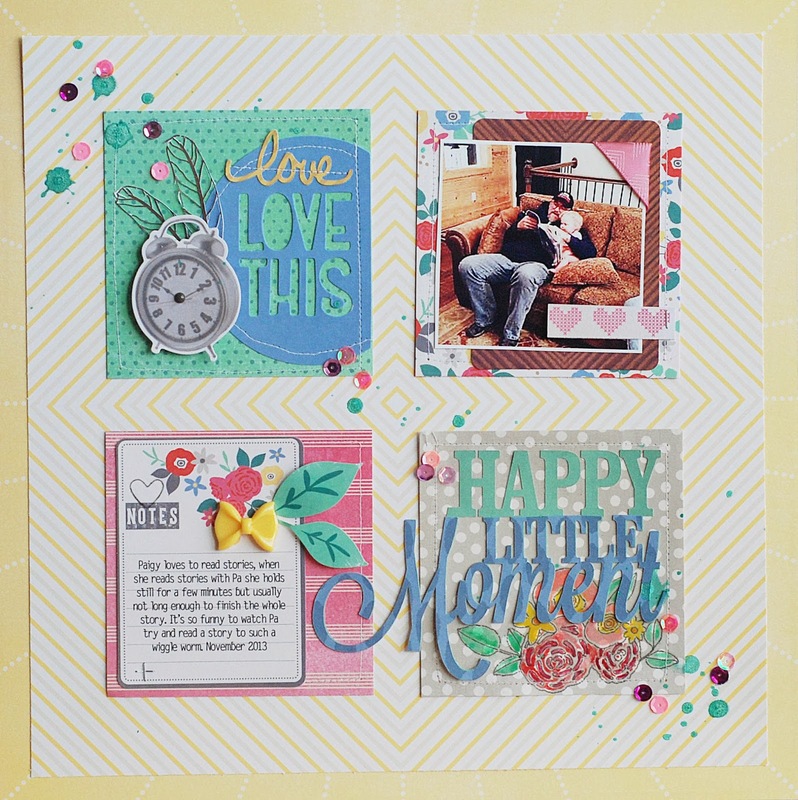 I used the Cut & Paste collection designed by Amy Tan for American Crafts. The flowers are a rub on that I water colored. 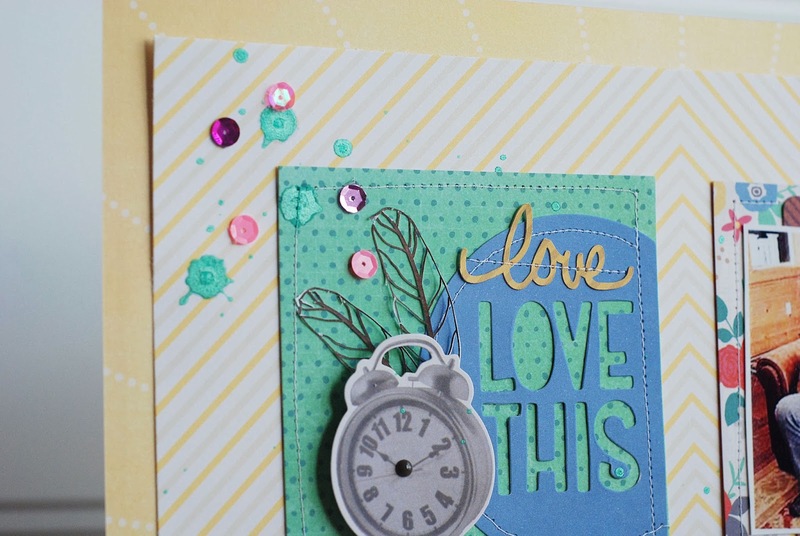 The "love this" die cut is from the Cut & Paste collection, I cut "love" with my Silhouette too. I also cut the little feathers. I love how they turned out but they are so very delicate. I will cut them a little bigger next time I use them. The sketch for this layout is a great way to use those photos that have an important story but not a fabulous photo to go with it. I snapped this photo with my ipad at night in dimly lit room. I love the story but the photo is not that great. I do absolutely love how the layout turned out though. Make sure you link up your projects to Paper Issues. There's a $20 Gift Certificate up for grabs to the Paper Issues Store. 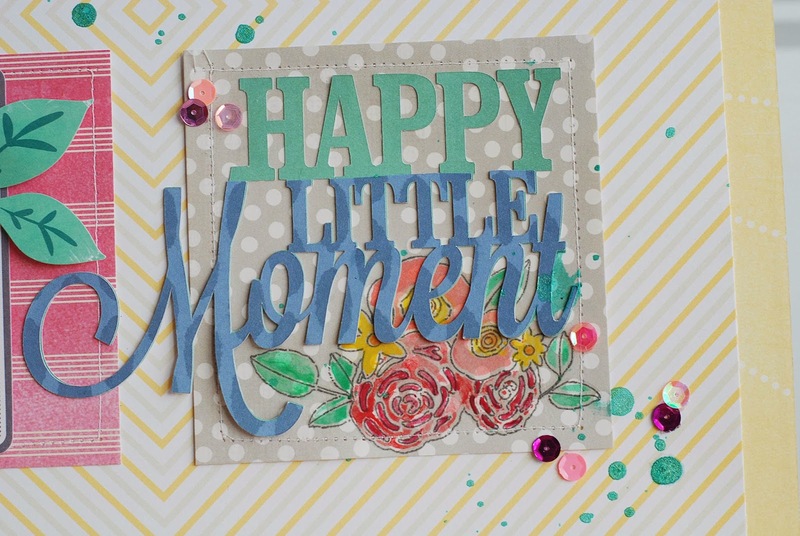 This came out awesome Becki...love all the different fonts and layers! This is absolutely stunning, Becki! This turned out fabulous, Becki!! Mary Jo, thanks so much! You're so sweet! I love this Becki! You did a great job of toning down a background that could have easily been too much-y. Beautiful work as always! Winter! Wait, Where's the SNOW?